We rely on a "Ratings" system to ensure that our members are qualified to sail and not damage club equipment or themselves. A Rating involves a Practical (on-the-water) test and a Written test. When you take a lesson, you will test for a rating at the end of the lesson. 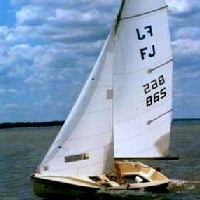 Most lessons are for beginner sailors, so almost everyone gets at least a Novice rating. You do not need to take a lesson in order to receive a rating. 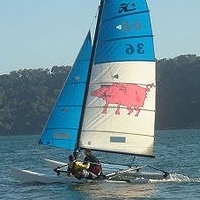 Note: You do not need a rating to sail during Supervised Sailing Hours. In fact, this is likely when you will receive your ratings. An Instructor, Rating Examiner, or Chief tests you by watching you set up (rig) and sail a boat in a certain amount of wind. Only Chiefs can administer Skipper Practical tests. There's one test that covers all Novice & Intermediate ratings, and another that covers Skipper ratings. 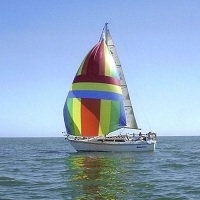 The written Test is based off the information in the Sailing Guide. The first half of the rating indicates what boat you were sailing on in that wind. We divide our boats up into major categories: "SH/Singlehanded" (one person boats), "DH/Double Handed" (two person boats), "Catamaran" (boats with two hulls), "Sailboard" (Windsurfers), and "Keelboat" (the large boats). The second word of the rating indicates the wind level. "Novice" (light wind, less than 7 knots), "Intermediate" (some wind, less than 15 knots), and "Skipper" (very windy, more than 15 knots). 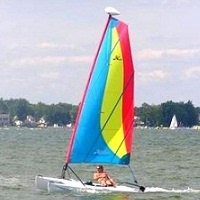 Note: Keelboats and Windsurfers have separate Written Tests. Also, some of our Performance boats are complicated to rig, and thus require an additional "rig rating."